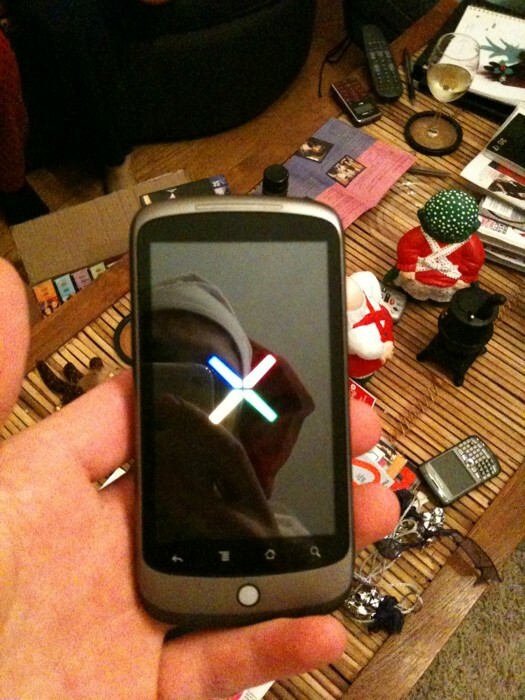 Google’s Nexus One – What are they thinking? Over this past weekend the story broke that Google has developed a new phone that it is giving its employees to play. The Nexus One, as it is called, is being positioned as a “innovations lab”, according to Google. Today, we hear that Google is in serious talks with T-Mobile to introduce Nexus One. This G-Phone is built by HTC and looks strikingly like the HTC Passion without, of course, the HTC logo. All this makes me wonder what Google is thinking? First off, why does Google see the need to branch out into hardware. Imitating Apple in trying to control the complete user experience is not good enough reason as they are already late to that party having already open-sourced their operating system. If they have some legitimate reason for getting into hardware, starting out with a look-alike phone of a publicly available (or soon to be) phone is not the best strategy to launch a new product that is going to bear your name in such a competitive market. Also, if Google is going to compete with its Android partners, I wonder how long they will tolerate that. Now, I truly believe that 2010 will be the year of Android, however, this is a fast moving market and both consumers and the hardware makers are fickle. Google will have to tread carefully so as not to antagonize its partners. Finally, is Google ready to be a hardware company? So far they have been outsourcing the actual manufacturing of the phones. And it will work if they have a handful of devices. But, then they need to think of all the other things that goes with standing behind the hardware from support to logistics to marketing. Last week at the CTIA, AT&T acknowledged that it is having issues with the bandwidth and how the some users were utilizing lot of data bandwidth and how it was impacting the service. Clearly, AT&T has its hands full satisfying demand for data bandwidth with its existing user base which according to research has increased 5000 times over the last 3 years. Inspite of this, hardware manufacturers continue to launch new products on the AT&T network. We know that Dell is planning to launch its new Android-based mobile phone on the AT&T network. Today, Nokia announced that it will launch its new netbook, the Booklet 3G on the AT&T network for $299.99. Not to mention, RIM launching its new white Blackberry Bold, LG & Samsung continuing to provide additional new products. Given all this, I have just one question: What are they thinking? From a business sense, it is logical to go where your consumers are. Granted, AT&T has one of the largest customer base in US and have been very successful with iPhone. But, given the bandwidth crunch AT&T is facing, if I am one of the executives making this decision, I would really not want to launch on this network, especially if it is a new product. Ultimately, no matter how good a device, customers buy the complete package: mobile device and the service. And if the customer is not going to have a quality experience on my device because of issues at the service provider, guess what they are going to say: the device is no good, since it keeps dropping the connection. I know this is not the device fault because I am enough of a geek to know what is causing this. Even an average consumer may have heard or know that connection loss may not be the fault of the device. But, if it occurs repeatedly, most consumers will give up on the device, much like I have the iPhone which I use only as a secondary phone. For my business, my primary phone is still a Blackberry 8830 on the Verizon network. Already, living in Silicon Valley, I am reminded daily of the AT&T bandwidth issue on my iPhone. Sure, AT&T is working on fixing this issue and I know that because I got a mailer from them stating that they have improved the coverage in my area. Guess what, inspite of that, my iPhone keeps dropping the calls atleast 3-5 times a day. I am truly dreading what will the impact be on the AT&T network once the new devices are in consumer hands. Microsoft to enter smartphone handset market? Rumors have it that Microsoft might be planning to enter the smartphone market with its own device in later half of 2009. If these rumors are correct, then it goes against what Steve Ballmer and others have always said about Microsoft wanting to license the software. However, with its Danger subsidiary and success with XBox and Zune, Microsoft would be tempted to take on Apple and others in the smartphone arena. If it does, I think they need to look at the new Toshiba TG01 and go with Qualcomm’s Snapdragon chipset instead of the NVIDIA’s Tegra chipset. Also, they need to learn from HTC, Samsung and Sony Ericsson to wrap their clunky Windows Mobile in a more user-friendly and up-to-date user interface. I am not holding my breath, but lets see what comes out Redmond. Here is the unboxing of the new Meizu M8 which will be launched in China soon (maybe by March). It is a sleek looking touchscreen phone with WinCE OS and it looks eerily similar to the iPhone. Yet it has managed to do something that iPhone has not, i.e., cut-and-paste, background task management and video recording, to name a few. And in addition, it has acheived no other touchscreen iPhone competitor has: Give Apple’s legal department IP related headaches and nightmares. Now, if only, it makes it out to US.